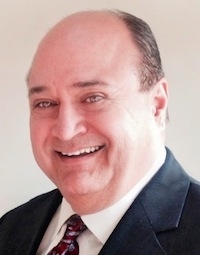 Mr. John E. Petronzi is a Technology Expert of Integral Board Group and is also a Client Relationship Executive at Computer Sciences Corporation (CSC) focused on business strategy, general management and CXO relationship-building responsibilities for global financial services clients. His general management, business development and complex program execution experience spans multiple verticals and industries with over 30 years of experience in the financial services and telecommunications industries. Mr. Petronzi served as Global Engagement Partner and Vice President of Strategic Engagements for Unisys Corporation with responsibility for large, complex ITO and BPO outsourcing engagements. His background also includes leadership positions at EDS as well as leading telecommunications manufacturers and distributors. Mr. Petronzi’s served as Managing Director of Looking Glass Technology Advisors, a professional services firm providing CIO Advisory Services and program management services for large, complex business technology initiatives. As a member of the Steering Committee, Mr. Petronzi was instrumental in two major technology programs for Standard and Poor’s and McGraw-Hill in New York and London supporting their real estate consolidation agenda. He was also the co-founder of a telecommunications consulting firm subsequently sold to EDS in 1988. Mr. Petronzi has overseen large, complex technology related deployments for Northwestern University, The University of Michigan, The Chicago Board of Trade, J.P. Morgan, Merrill Lynch, TIAA-CREF, Teleport Communications and The Port Authority of New York and New Jersey. He holds a BA degree in Mathematics from Rutgers University.